I am big into fresh Squeezed juices and follow the juice cleanse occasionally. Since there are number of juice bars in San Francisco in every corner, most of the times I just order my juices. In the past I have also tried making my own juices couple of times and one thing that I am always searching for is a good recipes for detox juice based on Ayurveda. Last year when I found out my cousin Sindura, created Cleanse High in Hyderabad (a detox program where you will skip Solid Foods and drink 8 Nutritious Beverages freshly made from raw food ingredients) I was thrilled. What intrigued me the most was the Ayurvedic recipes that they have. Since I don’t have the luxury of calling them up for next day delivery due to my geographic location, I asked her to share a recipe with BarelyVogue. 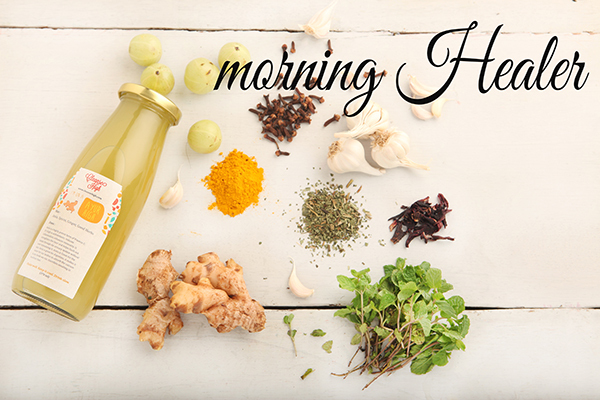 She very happily shared two recipes with us, Morning Healer – based on Ayurveda and Glow Smoothie – based on fruits. Here is how to juice it up. Blend well using warm water. 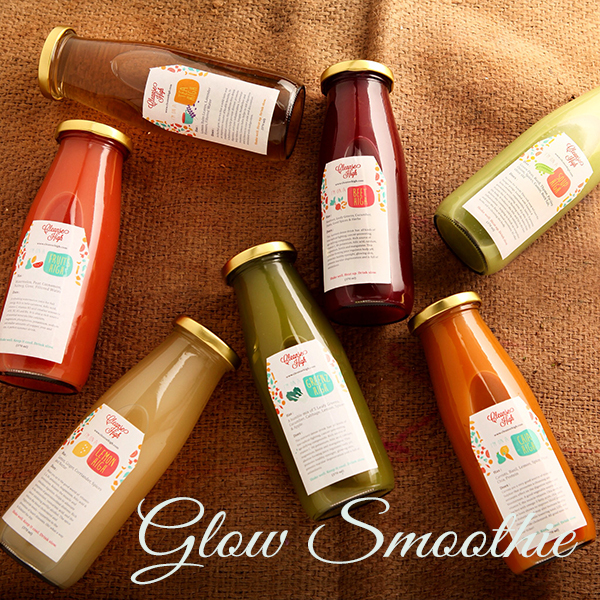 Glow Smoothie: This nutrient dense drink has age-defying compounds. This alkaline-forming juice promotes glowing skin. 1 cup of kale cleanly washed. 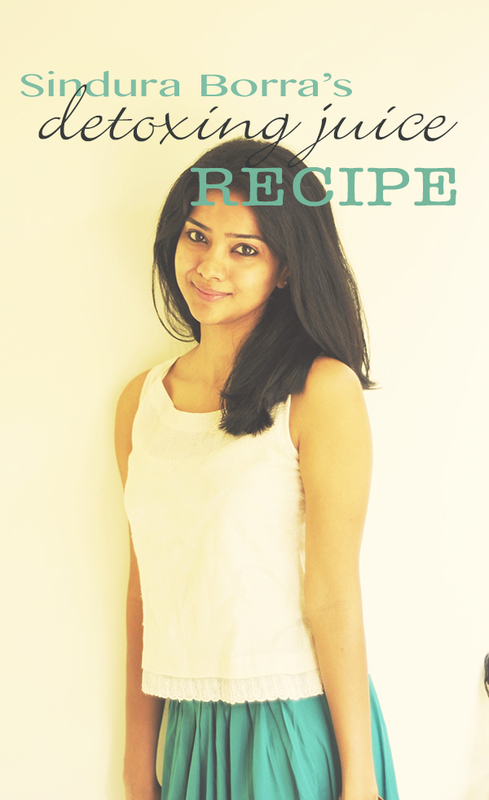 Please let us know how you like the recipes. We love to hear from you. i want to do this detox programme . please share ur company phone number or website to contact you on this.